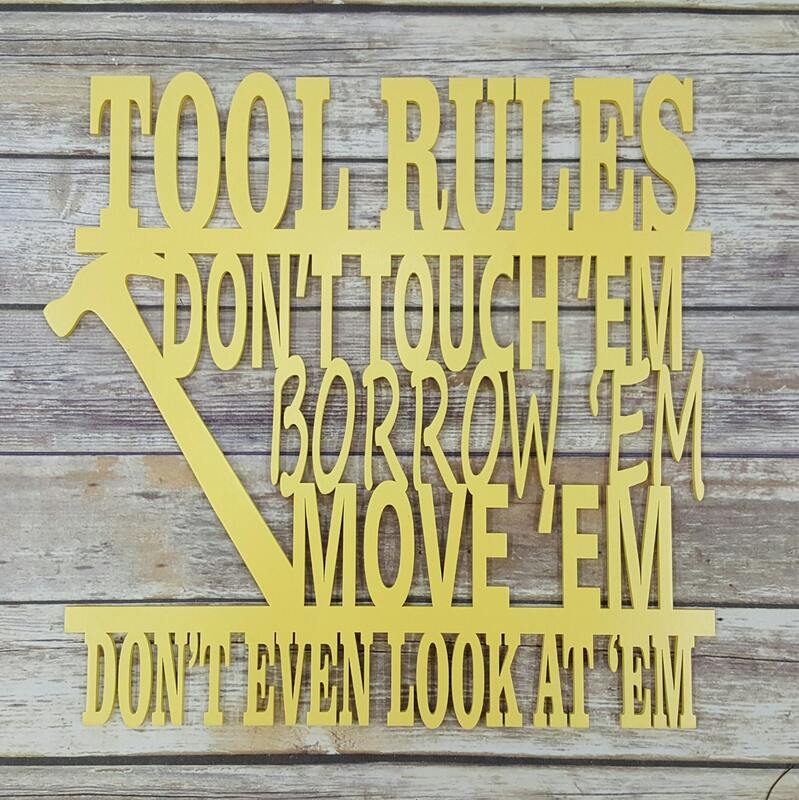 This sign was definitely created with the tool-lover in mind! 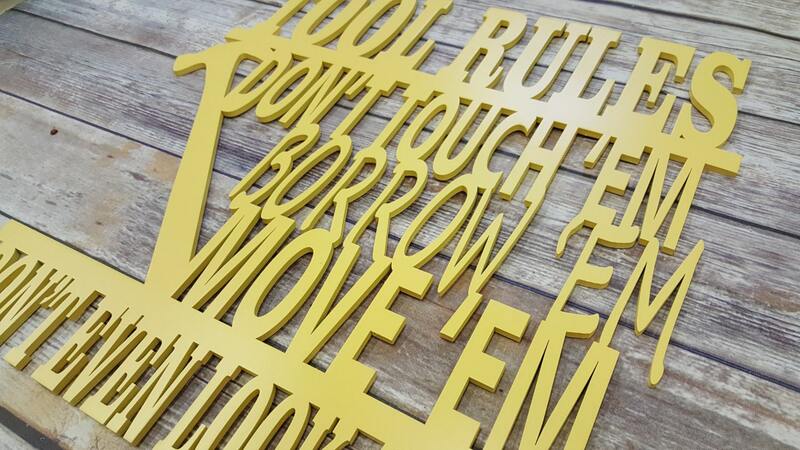 You know, the one who offers a friendly reminder to all who draw near... "Don't touch em', borrow 'em, move 'em. Don't even LOOK at 'em!" 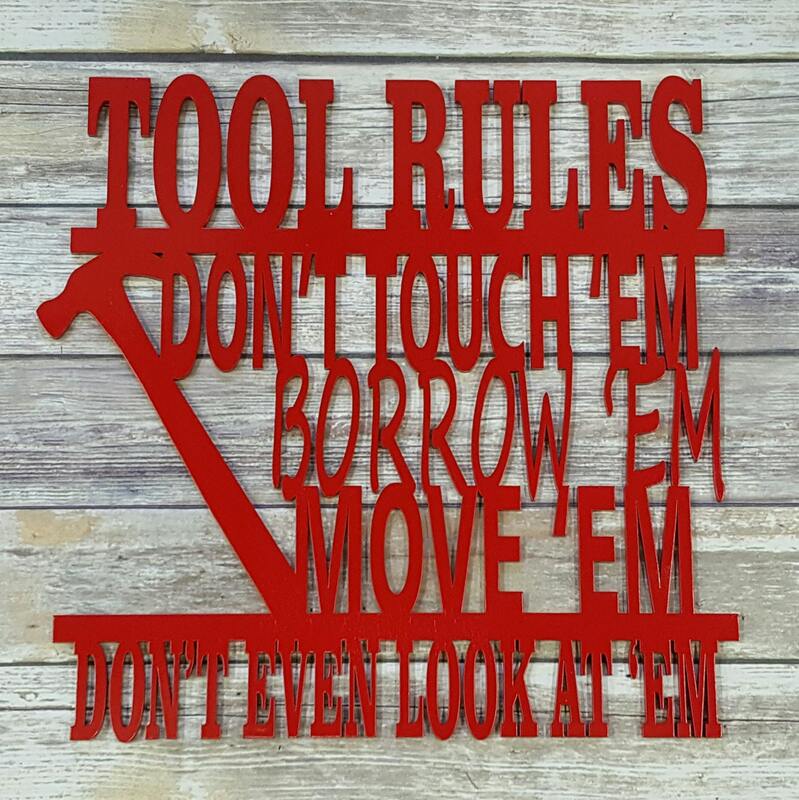 It'll be a perfect accent to their shop and a clear announcement of their "Tool Rules". 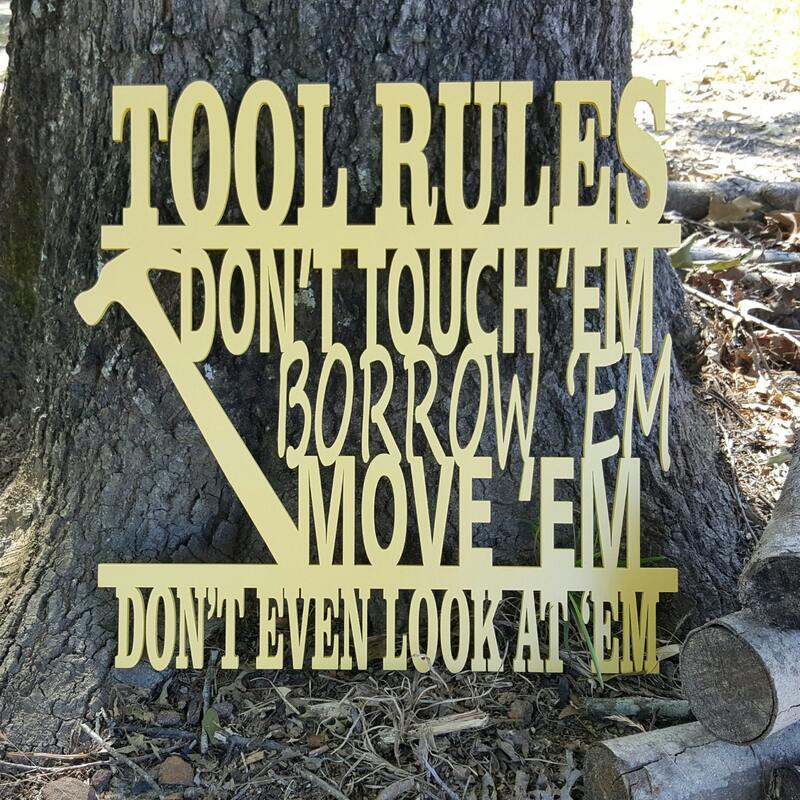 This fun sign is cut from 1/4" thick Baltic Birch and measures 19" wide and 19" tall. It is painted in the color of your choice. 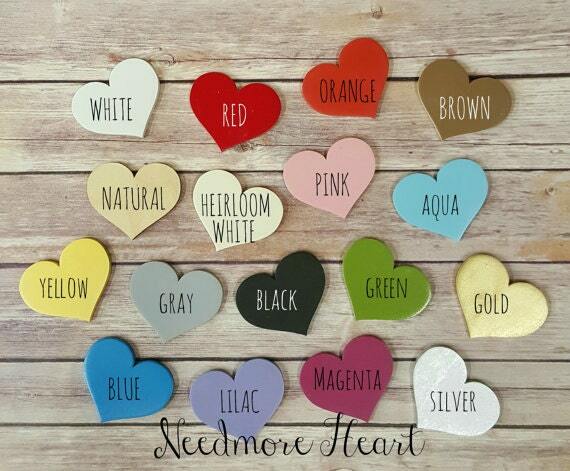 You can view each of our color options in the listing's pictures. No hanging hardware is included. We have had a great results from hanging these wooden signs using Command Adhesive Strips, but a tack or nail would also work well. Awesome! My dad loved it! Very fast shipping and great quality.